Following on from her Forward prize-winning collection, Small Hands, Mona Arshi’s new book continues its lyrical and exact exploration of the aftershocks of grief. 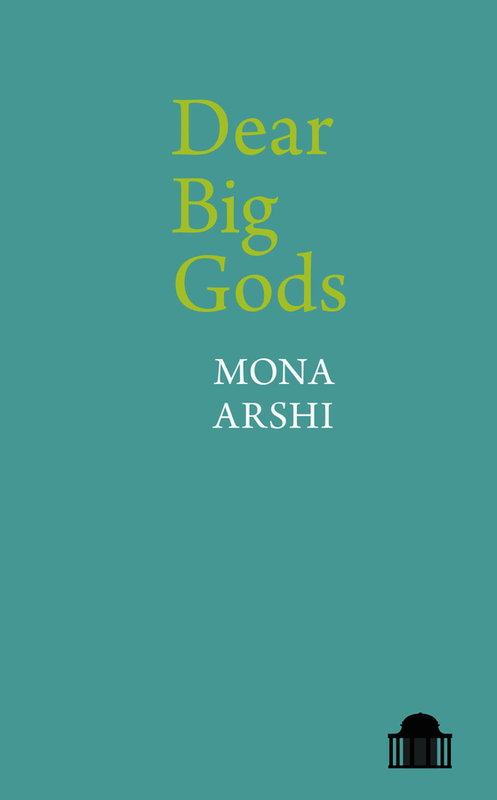 These extraordinary poems, which see Arshi continuing with her experiments with form, relocate experience in past, present and future feeling, in both the intimacies of ordinariness and the collective experience of myth. Moving and discomfiting in their acute emotional awareness of individual pain these poems tune in to the cruelty and unsettling violence of our contemporary world. Nevertheless, at the centre of this book is an overarching commitment to hope, in whatever form it takes, ‘hunkering down’ with its tiny creatures and its ‘churning, broken song’. Mona Arshi trained as a lawyer and worked for Liberty, the UK human rights organisation, for several years. She began writing poetry in 2008 and received a Masters in Creative Writing from the University of East Anglia. She has been a prize-winner in the Magma, Troubadour and Manchester Creative Writing Competitions. Mona’s debut collection ‘Small Hands’ won the Felix Dennis Prize for Best First Collection at the Forward Prizes for Poetry in 2015.